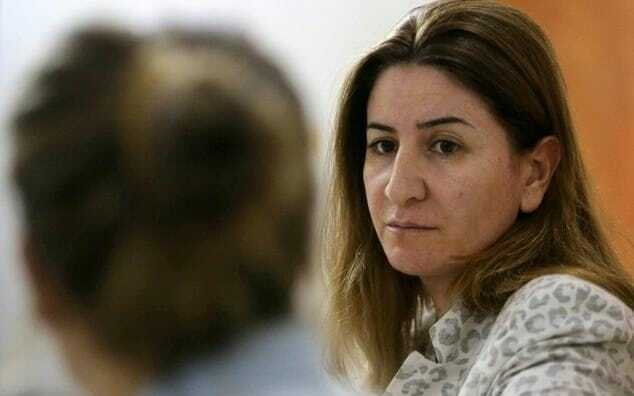 The idiocy of Trump’s recent executive orders on immigration is probably not better illustrated than by the case of Vian Dakhil (Yazidi MP in Iraq and ‘Isil’s most-wanted woman’). She may be barred from from coming to Washington to accept the Lantos Human Rights Prize. Russian Human Rights Defender Expelled from Ukraine! It sounds almost like a joke but it truly happened. On 9 February 2014 Ukrainian border officials barred a Russian human rights defender from entering the country, according to Human Rights Watch: Andrei Yurov, a member of Russia’s presidential human rights council and the Head of its permanent commission on human rights outside Russia, was deported to Russia upon his arrival at Borispyl airport in Kiev. Yurov was to meet in Kiev with Council of Europe Human Rights Commissioner Nils Muiznieks, and to work within the International Human Rights Defenders’ Group on the Situation in Ukraine, which was founded on December 1, 2013, in response to the November 30 police violence against peaceful protesters in Kiev. via Ukraine: Russian Rights Defender Expelled | Human Rights Watch. “Human Rights Defenders for Free Elections” campaign coordinator Valiantsin Stefanovich reports that two more Swedish journalists, one of which is Erik Gonplatten, were denied access. via Another two Swedish journalists were not allowed to Belarus – Charter97 :: News from Belarus – Belarusian News – Republic of Belarus – Minsk.